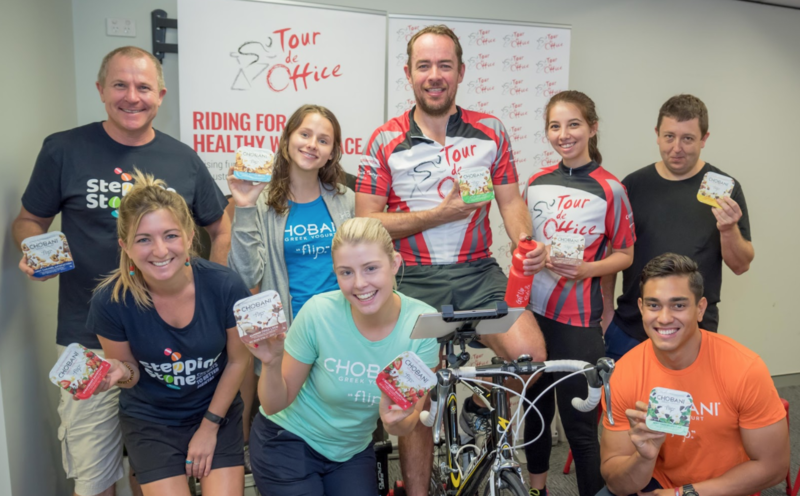 So, you’ve heard of the corporate fundraising event, ‘Tour de Office,’ and you want to learn a bit more… You may know Tour de Office as simply the ‘corporate bike event’ or ‘charity cycling relay’ – but these words only capture a small part of what Tour de Office is all about. 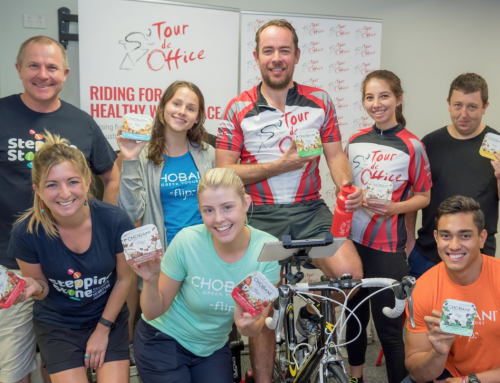 Tour de Office brings together business leaders, Australian workers and charities to make a real difference both in and outside the workplace. 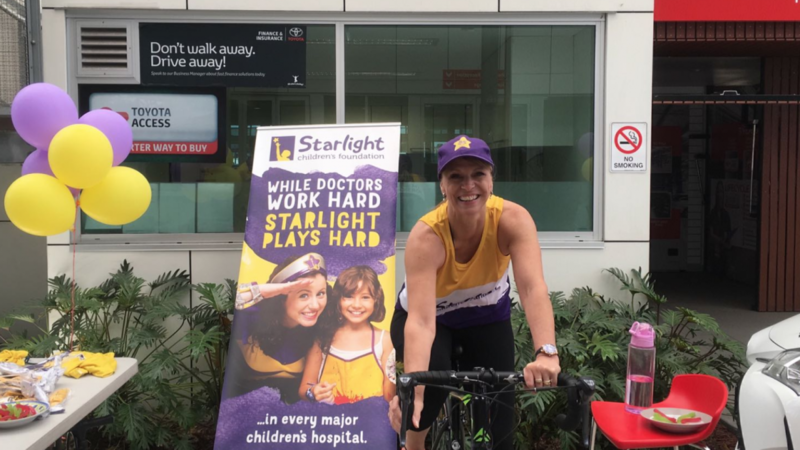 On the ground, the event encourages Australian workers to make healthier choices at work, facilitates teamwork and improves employee morale. 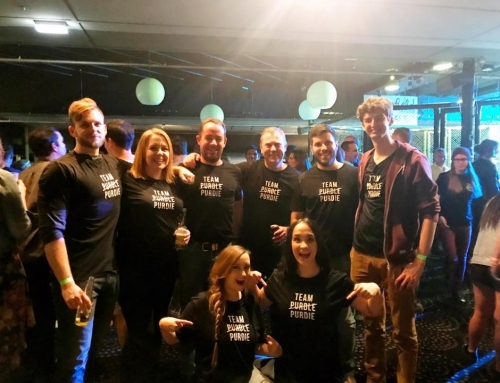 But with more than half a million dollars raised for Australian charities since 2011, the impacts of the event are felt by Australians far and wide. 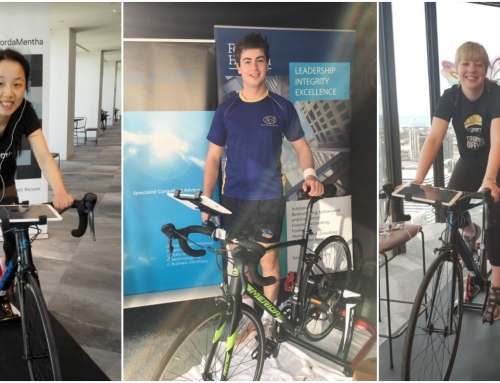 Read on to learn about what it’s like to host a Tour de Office event from participating organisations themselves! 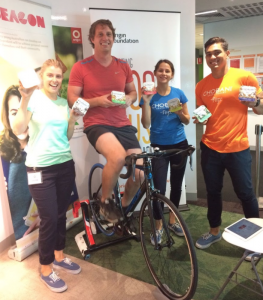 A Tour de Office first-timer, Origin Energy Brisbane raised $5,600 for Beacon in Tour de Office 2017. How did you prepare for Tour de Office? Leading up to the event, we put the Tour de Office posters up and sent emails weekly. Our business leaders posted on our internal workplace Facebook to get some excitement going. What did the event look like in your office? We set up the bike just beside the lunch room with huge banners behind it. We had our rider schedule and an updated leader-board by the bike – the competition was insane! 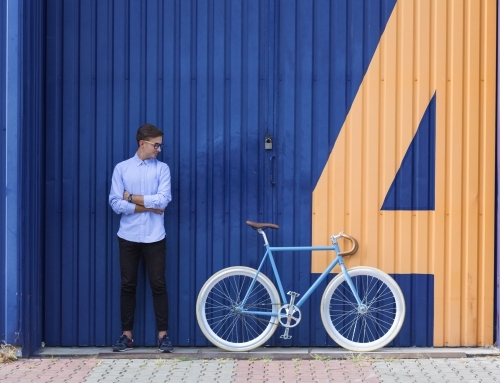 Why did you sign up for Tour de Office? To raise awareness about the importance of being active and the risk of a sedentary lifestyle. We’re an active organisation (we love our lunchtime yoga! ), so Tour de office really fit in with our culture. Additionally, as Origin is a large organisation, we thought the event would facilitate interaction across parts of the business that don’t usually get much of a chance to spend time together. We also saw it as a great opportunity to raise funds for our charity partner that we frequently volunteer with, the Beacon Foundation, which does some amazing work with kids at disadvantaged high schools. What did your team think of the event? The feedback we received was overwhelmingly positive – our staff enjoyed the opportunity to get to know new people and build stronger connections around the business. We also had some very healthy competition between divisions – our high-performance culture was very evident in everyone’s approach to their rides! What is your favourite thing about Tour de Office, from the perspective of a host? The best thing about Tour de Office is how it enables different people from across the organisation to get to know each other. We have lots of people working across different teams so Tour de Office brought people together. With the feedback we got, it was evident that the social aspect was really important to our team. 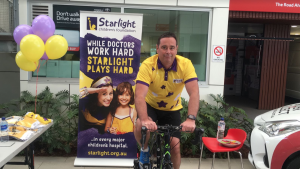 Motorama has participated in Tour de Office since 2015, and this year alone raised $14,800 for the Starlight Children’s Foundation. 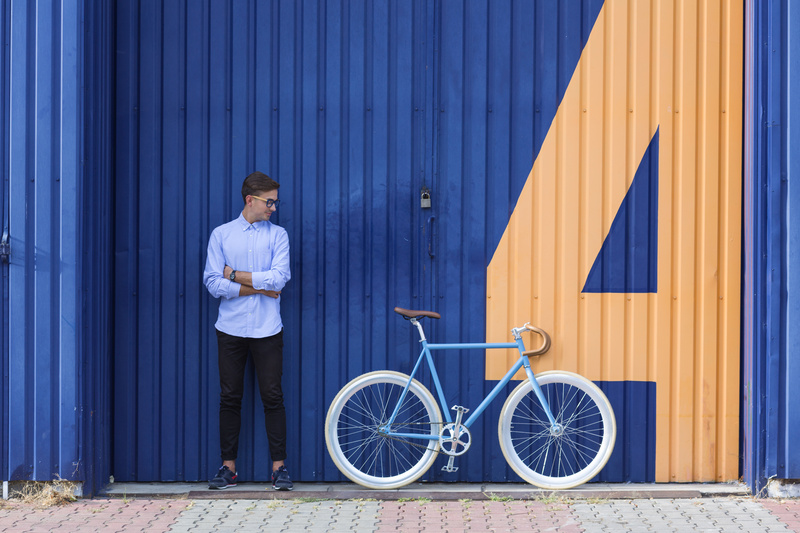 Motorama ensures all their workers in the Brisbane area have a chance to jump on the bike by moving the bike across their dealerships during the week. Why did you sign up for Tour de Office? Tour De Office works well for us. People seem to relate to it over, say, selling raffle tickets. I think it’s because it’s nice and tangible – people can see you ride and it can be fun with different themes. 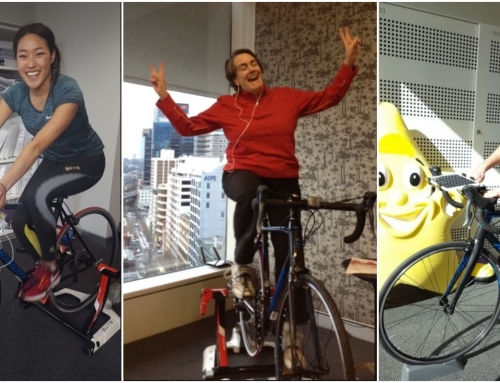 It takes place in the workplace and it’s a healthy activity – it ticks a few boxes really! We try to incorporate the event into a common area where people can chat and have morning tea and lunch while the bike is going. Music also helps to make the event a social focal point. We had different themes like 80s and Cowboys & Indians etc. What did your team think of the event? They loved the competitive side of it and kept their eyes on who rode the furthest and who had raised the most money. It was great to eachother jumping on the bike and giving it a go. Once the event starts going, you can really see the excitement build. If you’re considering hosting a Tour de Office custom event or riding with us in August, September or October next year, please contact us – we’re now taking enquires!